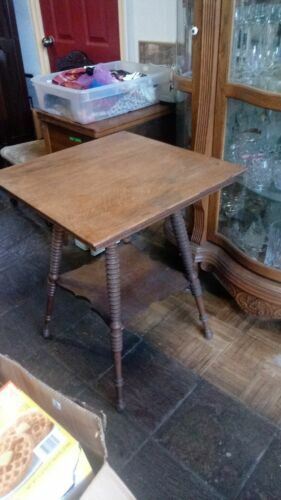 Antique Arts & Crafts Mission oak accent lamp table hall stand 1900's 30"
antique Oak Table Lamp plant stand end side refinished quartersawn octagon 24"
Vintage Wood Accent Table, Inlaid Book-matched Top, Carved Scroll Legs! Antique English Oak Primitive End Table~Side Table~Accent Table~late 19th Cent. Antique Natural Light Oak Table W/Drawer Dove Tailed 29” T x 30” W x 20” D NICE! 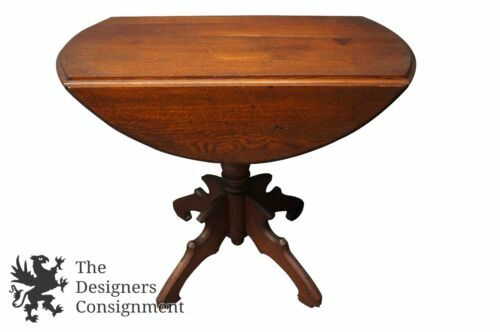 ANTIQUE TIGER OAK OVAL SIDE / WRITING TABLE 48"
Oak & Walnut Inlay Arts & Crafts Plants Stand Tiled Top 2 Tier Accent Table 28"